What Lexie Loves: Oh yes: A mini exclusive interview with Holly Smale! Oh yes: A mini exclusive interview with Holly Smale! A lot of you liked the sound of Geek Girl 4, and my advice is READ IT! And today, I managed to get a mini exclusive interview with Holly Smale, the author of the bestselling Geek Girl, via Twitter! What's your favourite book to make you laugh? What's your favourite book to make you cry? If you could, which character would you be for a day? If you were stuck on a desert island, which one book character would you like with you? What's your favourite character to have as a best friend? Well thank you so much for answering my questions Holly! And I would thoroughly recommend you all buying a copy of Geek Girl (1, 2, 3 and 4)! Have a great weekend! *runs around in excitement as she remembers again that she's going to see TAYLOR SWIFT*. Oh yes, on Saturday I will be seeing TAYLOR SWIFT! *screams and runs round the room for 121st time*! Omg, Holly Smale is my soul sister. East of Eden and To Kill A Mockingbird are two of my favourite books ever, and Atticus Finch FOREVER. Ha ha! 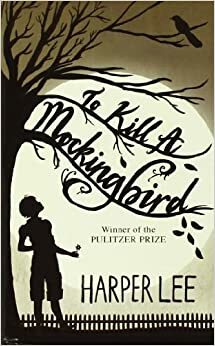 I need to read To Kill A Mockingbird soon! I would also like to be friends with Anne, of Green Gables. Right now it's the holidays.